Sherree is internationally acknowledged as one of the foremost artists of her generation and her classic impressionistic style enriches and enhances her beguiling subject matter. 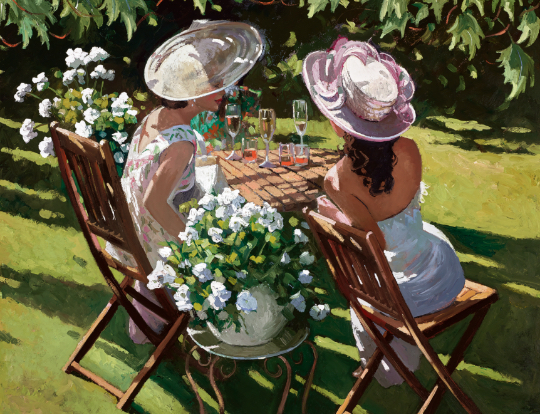 Her beautiful new collection comprises an exquisite quintet of scenes; each one is both an impressive work of art and an irresistible reminder of the best things in life, whether that be a solitary walk through a field of buttercups or a champagne moment on the lawn at Ascot. Join us in the gallery to be inspired by the face of modern British impressionism.